The original and #1 website for Christian camp and retreat information. This is the perfect gift idea for Mother’s day, Christmas or your mother’s birthday – a Mom specific Bible. Why a Bible, I’m sure you’re asking. Let me share some thoughts to answer that question. Our moms (or you as a mom) face a daily battle aside from being a parent; the chores, work responsibilities, wife duties, family tasks and personal goals. All these tasks and many more are often faced by our beloved moms and how they juggle these responsibilities are really amazing. But let us not forget that they’re only human beings and need that personal relationship with God to back them up with their spiritual strengths. 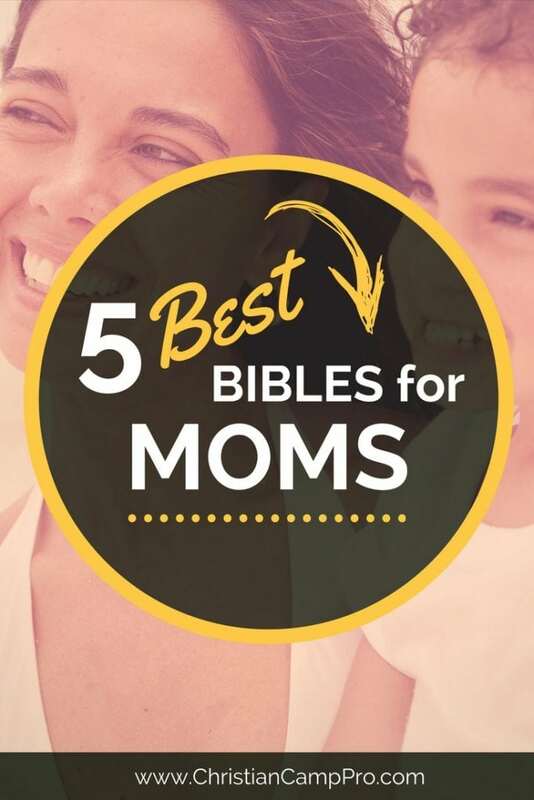 To help you decide on which Bible to give as a present to the amazing mom in your life, we’ve listed 5 best Bibles for Moms! Think about the weekdays when our moms are hustling through the day just to help us get ready for school. What about those who still have work after prepping our breakfast or the moms who’re at home with our little siblings, while being a good wife to our fathers as well. That’s why this bible is truly one of the best Bibles for moms. The Busy Mom’s Bible is perfect for them thanks to the 52 one-minute thought starters as an introduction to God’s word. Once they have more precious minutes to spare, they can go deeper with the five-minute reflect & pray or the ten-minute study to learn more about God’s word. This Bible is also equipped with devotional thoughts specifically written for the busy moms covering topics such as raising kids, marriage tips, and establishing a healthy relationship with God. Learn more about the amazing Busy Mom’s Bible here. For some moms, they prefer teaching their kids personally than letting them attend a traditional school. It’s a principle that provides hands-on teaching, and it allows them to build a good relationship with their kids. These moms need an extra dose of energy because having their kids homeschooled can be a very challenging yet rewarding task. A good Bible to help them with this special task is the Homeschool Mom’s Bible. A New International Version Bible that offers daily encouraging devotions. It is equipped with inspirational notes written by homeschoolers for homeschoolers. The Homeschoolers Bible encourages and strengthens the mom spiritually which can help them juggle their daily responsibilities while teaching their kids and caring for the family. 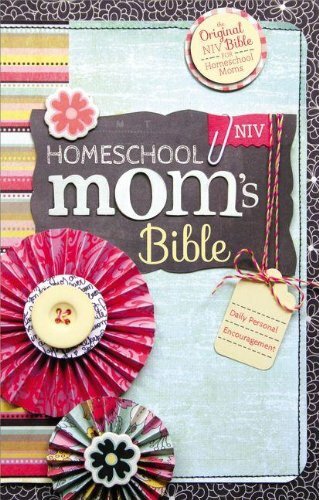 Learn more about why the Homeschool Mom’s Bible is one of the best bibles for moms here. Discovering God’s wisdom is vital especially for moms since, through this, they will be able to know how important they are in God’s plans for a family. We all know that sometimes, when life has a lot to offer, it is hard to juggle everything at once and that’s when mothers really need God’s wisdom. God’s Wisdom for Mothers is the perfect Bible for moms who desire a daily teaching and encouragement. It includes special sections that tackle different topics such as Bible introductions, walking in God’s ways, introducing God and how to have a godly character which can be passed on to children as well. Another nice inclusion in this Bible is how they showcased the moms in the Bible. This provides inspiration to mothers during times of stress. Insights, counseling notes and questions kids may ask are also added to help the moms in being the best mom that they can be. 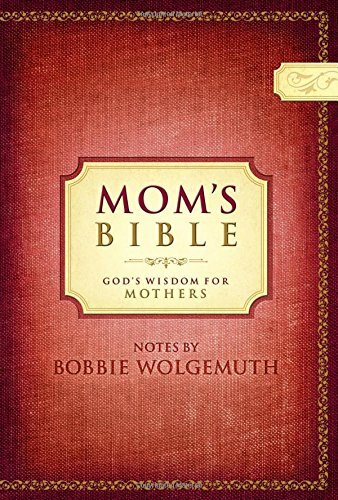 Truly the God’s Wisdom for Mothers is one of the best Bibles for moms. Learn more about this Bible for mothers here. Being a wife is a new chapter almost all women dream about, but being a new mom is a whole other story. It’s an amazing task that only moms will face such as the abnormal sleeping pattern, new routine and caring for a little child that is both rewarding and very challenging. This new phase requires a lot of motivation and commitment and having a good Bible to lean on is vital in helping mothers face every challenge with a positive mindset. 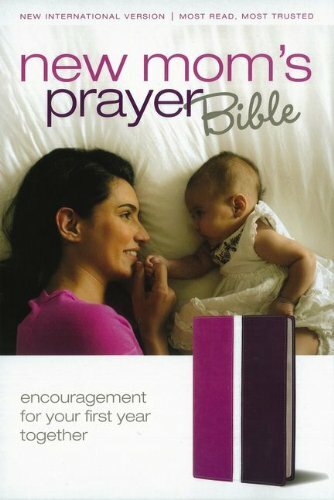 The New Mom’s Prayer Bible is perfectly designed for new moms and offer short Bible notes that can be read in few minutes. Devotional thoughts are included and written specifically for new moms to refresh their thoughts and to give that boost of energy that they’ll surely need in this new chapter of their lives. Learn more about this Bible for new moms here. Truly it’s an amazing thing when a mom is fully devoted to her relationship with God. It’s a good sign of growth and maturity especially for a mom who’s considered as the light of the house and helps guide her family. Aside from the spiritual disciplines that one person can learn from consistent Bible reading, it also teaches you the power of faith. 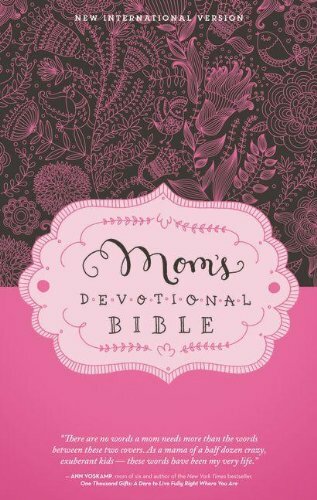 One of the best Bibles for moms is the Mom’s Devotional Bible by Elisa Morgan. 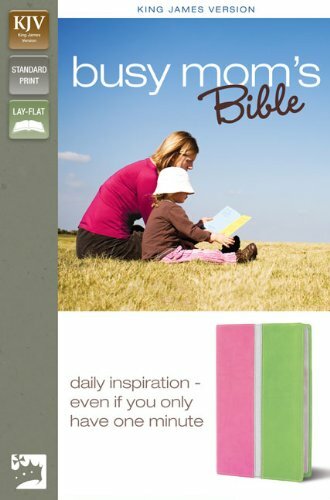 This Bible is packed with inspirations and encouragements that is a perfect tool for moms to find hope and daily advice. Each reading is adjusted perfectly to moms whether new or experienced. Elisa Morgan, President of Mothers of Preschoolers included her own write-ups that are good for a year’s worth of devotions. This Bible is perfect for moms because it’s a good tool for those days when they face special challenges or whenever they need good insight to help them perform their roles as a mother with Bible notes linked to real-life encounters. Learn more about this bible for devotional focused moms. Whether buying a Bible for Mother’s Day, Christmas, a birthday or you just want to give a valuable present to your dear mother, you can’t go wrong with any of these choices. Always remember that it is best to consider the characteristic of your mother or her specific needs in buying that perfect Bible for her. Also, some of these Bibles are not only the best Bibles for moms, but can also be given to any important woman in your life. Special thanks to Sunstream Retreat Center for making this article possible. Enter your email address below. ← THIS CHECKBOX IS REQUIRED. We're glad you like this article! We send out new artices each Tuesday via email. We know you'll like those too! Enter your email address below ← THIS CHECKBOX IS REQUIRED. - I give my consent to contact me via email knowing that I can opt-out immediately.